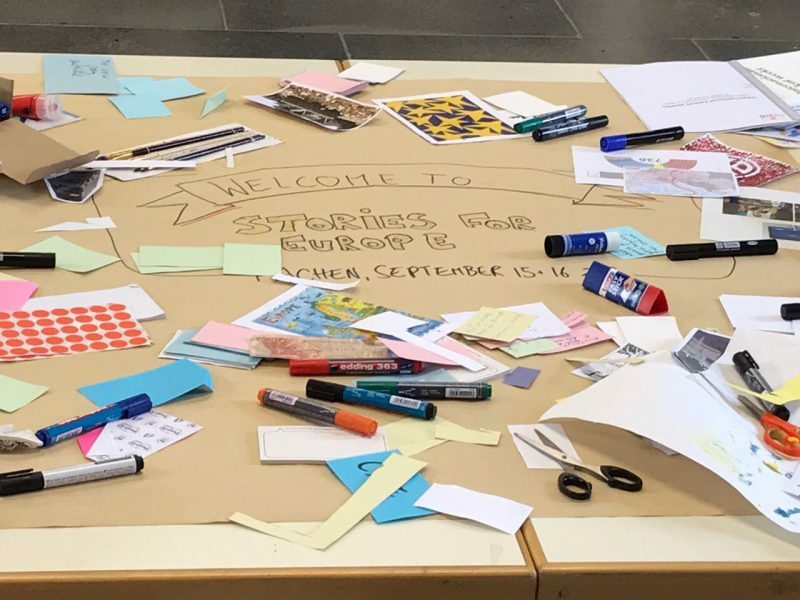 The project „Stories for Europe“ emerged from our Beyond Storytelling initiative and can be seen as another outcome of the vivid exchange among storytelling practitioners. On a sunny September weekend (15th and 16th) in Aachen, next to the border with the Netherlands and Belgium we hosted our very first forum Stories for Europe and enriched the event by the visual storytelling applied in the world café facilitated by Joanna and Jacques and some open space activities. The dialog that emerged was intriguing at many layers.